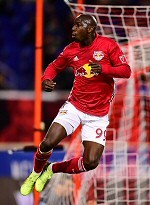 The New York Red Bulls have named Bradley Wright-Phillips the team's Most Valuable Player, Aaron Long the Defender of the Year, Kaku as the Newcomer of the Year and Luis Robles as the Humanitarian of the Year, the team announced today. Long quickly rose as one of the league's best defenders in just his second season with the Red Bulls first team. The Oak Hills, California, native garnered MLS' Defender of the Year and Best XI honors as he anchored a Red Bulls defense that recorded 15 shutouts and allowed a league-low 33 goals in 34 games. Long was also named an MLS All-Star and garnered his first call-up and start for the United States National Team.